1. 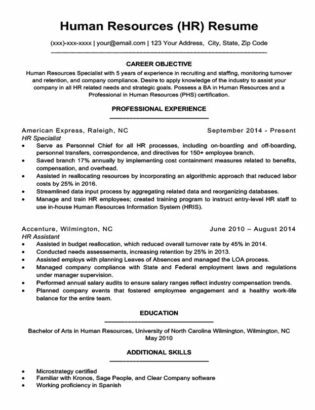 Chronological Resume – What Is It? 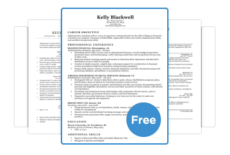 The chronological resume format is the most common type of resume. As a matter of fact, it’s probably the type you already have. This isn’t to say it’s the most basic, just that it’s the most common – and for good reason. Also called a reverse-chronological format (because that’s actually what it is), this style lists each job or piece of education experience from the most recent at the top, to the least recent at the bottom. 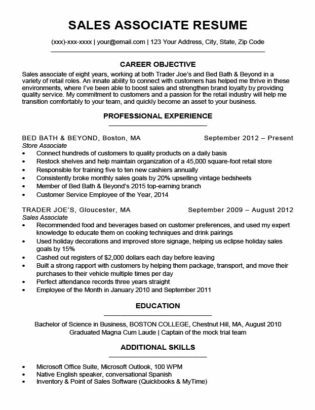 This type of resume is preferred because of its clarity, regardless of industry and level of experience. This makes it the conventional style – and probably the type you should end up making. Because work and educational experience are provided from most-to-least recent, it’s especially useful for job hunters who’d like to show they’ve climbed the ladder in their careers. There are a few situations where this format might not be the best for you. 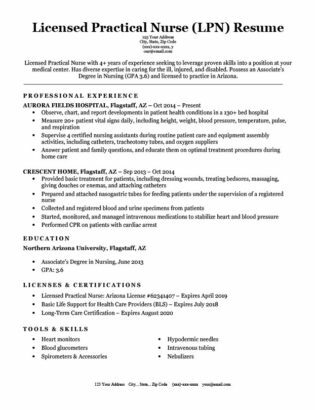 First, if you have gaps in your work history, this style of resume can emphasize those more than you’d like. Also, if you change jobs often or have had many short-term positions, it might not be the most appropriate. Finally, for freelancers or project-based workers, highlighting skills and abilities in Functional Resume Format makes much more sense. Just like it sounds – here is where you list the most basic stuff about yourself. Include your name, address, email address, and phone number. You can also link to your own website (but only do this if it’s really good or pertinent), as well as a LinkedIn profile. The chronological layout means you can pick from three types of intros – the career objective, the qualifications summary, and the professional profile. Each one can be useful, but it often depends on what your circumstances are. Career objectives are great for entry-level positions, while a qualifications summary is probably more appropriate if you’re looking for a higher level position after years of experience. For more advice on the specific types of intros, check out our guide on the different intro styles. This is the main and most important section of the chronological resume. This should start on the upper half of your resume and finish close to the bottom, clearly dominating the page. Your objective with this section is to show how you were great at your previous jobs and what you learned from them. Avoid simply listing a bunch of basic responsibilities that are irrelevant to the job you’re applying for now. Another important technique is to use dynamic and descriptive language. An excellent way of displaying your accomplishments and knowledge is by making them quantifiable – in other words, use lots of numbers. Instead of saying “years of experience,” say how many years of experience. Another important technique is to use dynamic and descriptive language. We recommend starting sentences in this section with action verbs – this allows each bullet point to clearly express how you came to master a given skill or experience point. This section is especially important if you are a recent graduate or your education is especially related to a position. If you have a few years of experience, you probably don’t need to list more than your school, degree type, graduation year, and maybe your GPA if it was above 3.0. On the other hand, if you are entry-level and fresh out of school, this section should actually go above the professional experience section. For more help, learn how to list your education section on a resume with our in-depth writing guide. A skills section can help add insight into your abilities. 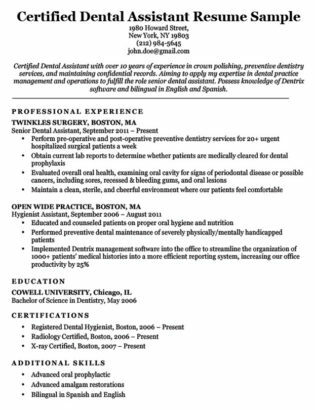 You might not have had the chance to talk about your skills with MS Office elsewhere in your resume, but it’s probably pretty important you have them if applying for an office job. This is where you’d put those. Again, use numbers, and make sure the skills you list are relevant to the position you’re applying for. It’s important you learn to write the best skills section possible. We can show you how. Not what you’re looking for? View our other customer service resumes. 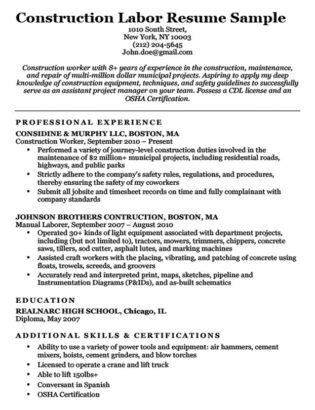 Check out our resume sample library for additional construction and labor templates. 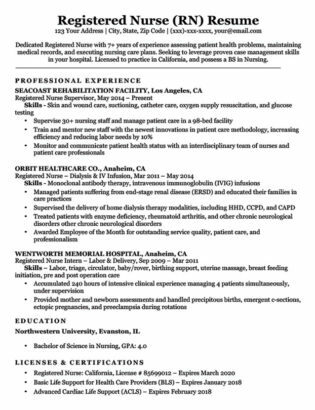 Want more healthcare resume examples? Stop by our sample library. 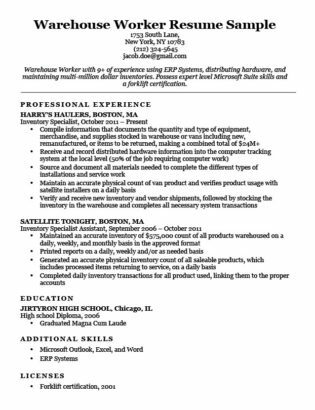 Find more office work resume examples here.